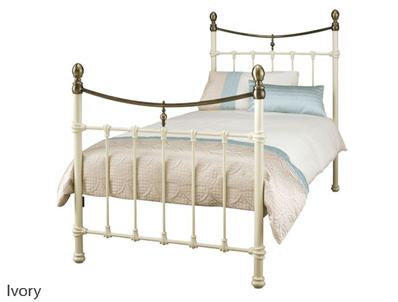 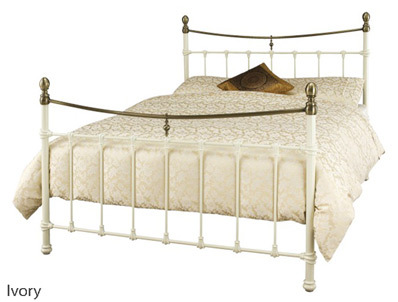 The Edwardian II metal bed frame from Serene differs only in the style of the finial from the original Edwardian. 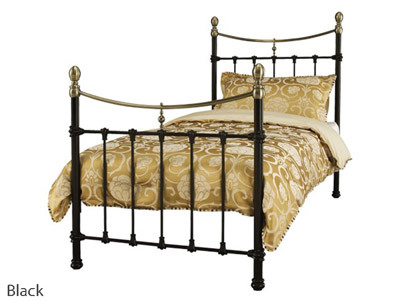 The Edwardian II is available in 2 colours black with antique brass finish or ivory with antique brass finish. 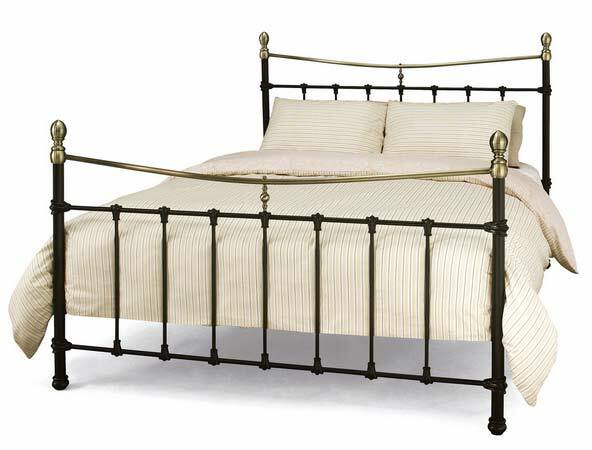 The bed frame has a sprung slatted base and in single, double, king size or super king sizes. 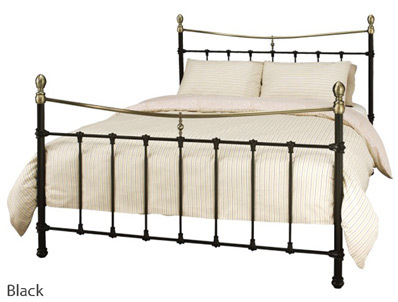 It is supplied flat packed for home delivery.